Something to "Wow" your guests! In my performance, I play along with digitally recorded backing tracks running through a high quality sound system. You get the sound of a full band with live steel drum, without the budget or space needed to accommodate a full band. If you are ready to enhance your special event with the exciting, irresistible sound of Steel Drums, then please contact me for a quote. We had a great time and would use Minsky again! Good fun music. Steel drums as accompaniment to tropical music from iPod with speaker. Minsky played for my daughters 2nd birthday and was an absolute hit. Every single guest commented on his performance and he could not have been more friendly and pleasant. I would book him again in a heartbeat! Minsky played my sons 2nd birthday party. He was very professional & exceeded my expectations. He made our family feel like we were in the islands. Look forward to working with him again in the future. We had Minsky for a Late Night Breakfast student event at our university and he was a great addition to our Beach Party theme. Minsky was a joy to work with and the students loved his performance; as students arrived, they were instantly transported into the Beach Party theme thanks to Minsky's music playing just inside the door. We will look to utilize Minsky again for future events. Thank You so much. I can still picture how well you transformed your home into a festive, classy atmosphere. A great time was had by all: Especially me! Awesome party and experience with Minsky! We threw a luau party in June and asked Minsky to provide the entertainment. He was awesome and everyone not only enjoyed the music but loved getting to know him as well! Such a neat guy with a big heart and tons of talent!! He definitely made the party a success. We were very pleased with Minsky, he arrived on time, set up quickly and got right to playing. Everyone commented on his exceptional skills. We would certainly have him again at any event. Thanks Minsky for making our event memorable! Minsky recently performed at our Multi-cultural night for our elementary school. The event is a journey through the tapestry of our world and all that we offer to it. Minsky's beautiful steel pan drums offered a classy touch to our event. He was gracious and a true professional. Many of the guest were very interested in where they could hear him play locally. We were very pleased with the music and the melodic sound the steel pans provided for our event. Another fantastic Mangers' Reception at Shads Landing Retirement Community in Charlotte, NC. Minsky played the steel drum as the residents danced and nibbled on beef patties, coconut shrimp and jerk chicken. Then we all washed it down with some Ginger Beer as we toasted farewell to Chef Ian. Minsky played at my dad's 95th birthday party. He is very good with the steel drum, but the best thing is he is very entertaining, everybody loved him. Would definitely book him again. Minsky was professional and easy to work with from the first email to the night he performed for our party. He created the perfect festive atmosphere for our house party. I would certainly recommend him and hire him again and again! It is indeed a pleasure for me to speak on behalf of Minsky Delmonte. I recently met Mr. Delmonte in preparation for our annual state conference for school nutrition. He had been recommended by several people who had seen him perform at other affairs. With a cruise theme for our conference, our president had expressed a desire to have a steel drum player for two nights of the conference. Mr. Delmonte was extremely professional and delightful to work with. He always arrived ahead of schedule, and his performance was extremely entertaining. I would recommend anytime for future events and activities. You wont be disappointed, Minsky was an awesome hit! I hired Minsky to play during cocktail hour at my parents 50th wedding anniversary. I found out about his services simply by searching the internet. We did not meet until the day of the event. So, as you may imagine, I was slightly hesitant about hiring him without meeting in person or hearing him play live. In fact, my siblings and I had a running joke (just for fun of course) that he would show up and it would be a disaster or worse yet not show at all. But I could tell just by phone conversation how nice he was and by email exchanges that he would be great...and great he was! Minsky responded promptly to all of my emails and was always very professional. He showed up on time the day of the event and set up his area with ease. We were the ones who were scurrying around like crazy causing our event to be delayed. However, Minsky was very accommodating and played well beyond his arranged time frame. He kept to the genre of music that I had requested which made for a wonderful evening. My parents loved it, in fact we enjoyed Minsky so much and were having so much fun that he hung around to the end of the night dancing and hanging out with the family just like the rest of our invited guests. Everyone was so impressed with his services and I of course gave myself a big pat on the back for picking him out in the first place. 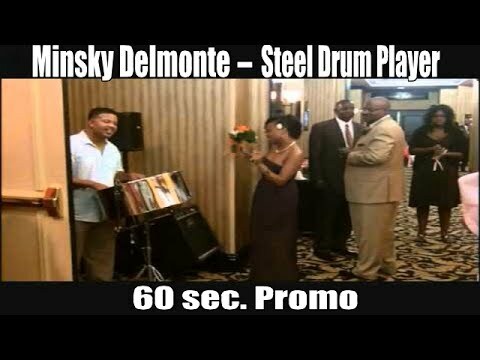 So, if you're looking for a steel drum player, even if its one you haven't heard live, take my word for it you will love Hear Steel Drums play by Minsky Delmonte. Thanks Minsky!!! Awwwww Thank You so much for taking the time to share such kind words. Your family was quite hospitable and they created an atmosphere that was a joy to share music with. I especially liked how everyone danced/slide to " Happy People"
The pleasure was mine. " See You in 50!" Minsky Delmonte is #1 for talent and personality!!!! If you are planning a beach wedding, or any wedding for that matter, and you want steel drums, Minsky should be your only choice. We had Minsky play on the beach during the ceremony and afterwards at our small reception and he absolutely made a huge impact on us and all of our guests. Not only was he easy to work with prior to the event, his talent and pleasant demeanor are simply amazing. Everyone that was in attendance could not stop talking about how much he added to the overall ambiance of our wedding. Even the very young children that were there had a great time interacting with Minsky as he gave them an opportunity to actually play the drums and participate in the festivities. I cannot say enough good things about this truly wonderful man and talented entertainer. Do not have any doubts that he will deliver what you want and then some. I have recommended him to many others since our wedding and will continue to do so in the future. And if the occasion ever arises where I need a steel drummer again, I will definitely go with Minsky. Thanks, Minsky, for making our special day even more memorable! Donna and I will never forget what you added to our new life together. Minsky is delightful to work with! Minsky arrived on time and well dressed! He was all smiles the entire night! He responded to my emails quickly and professionally. He truly is great to work with and I would recommend him to anyone! Minsky exceeded all our expectations. His music was terrific and everyone loved it. We had asked him to give a presentation about the steel drums, how they are made, history, etc. and he was informative and entertaining. He was on time, gracious and extremely professional. I would hire him again in a second. Minsky played for the worship Service at St Martin's Episcopal Church on January 29th, 2012. He not only accompanied the singing, he participated in the worship. It was an outstanding experience! Many in the congregation expressed their appreciation, and hope that he will return for a future service. As authentic and real as it gets! I am Miss Claflin 2011-2012 and hired Mr. Delmonte for my coronation . The theme of my coronation was "A Night In Paradise" and Mr. Delmonte surely delivered! His music was authentic and I love the way he got the crowd involved. If I have ANYTHING else that relates to the Caribbean and Jamaica, I will not hesitate to hire him. Charming, professional, fun ... in short, delightful! Minsky actually provided the music for us for a whole series of Monday-evening outdoor back-deck parties at our Nags Head Hammocks store in Duck, along North Carolina's Outer Banks. Not only did he create a joyful, beachy musical backdrop and a wonderfully relaxed vibe for these small waterfront gatherings, but he was an absolute pleasure to work with, his unerring professionalism and approachability extending even to an easy, unforced rapport with those guests who came over to tell him how much they enjoyed his being there. Our weekly summer get-togethers, intended to both welcome people to the Outer Banks and introduce them to our retail store, would not have been nearly as successful without Minsky. We will very happily have him back for any future such events, as his schedule allows. Minsky performed for a private luau party and was absolutely terrific. I can't say enough about how professional he was and how nice he was to work with. The music was perfect for the occasion. Everyone enjoyed it. I would not hesitate to use him again if I ever host a party similar to this again. Minsky provided steel drum playing for our cocktail hour before our official reception. We were going for a summer theme, and he made it happen perfectly. His music filled the arbor without being at all imposing or disruptive to conversation. Minsky went above and beyond in not only taking a few special requests, but learning some Colombian pieces as well - he not only added them to his repertoire, but got the guests dancing and singing along! Overall this was a great experience, Minsky was so responsive and accomodating, and our special day was made even better by his efforts. Thanks! Minsky played for our son's rehearsal dinner party - where do I begin to tell you how wonderful he was. Not only was he a complete professional, he was thoughtful, kind, accomodating, flexible and so friendly. His music was perfect - and he certainly knows how to perform. His outgoing personality was absolutely the perfect combination for our party - he played poolside - set up where we asked him to - was on time, and came and went quietly without interrupting anything else that was going on to get ready for the party. I can't recommend him highly enough - he is the epitome of professional and experienced - anyone looking for a steeldrummer for any kind of event - look no further than Minsky - you absolutely will NOT be disappointed. My only regret was that I didn't record him so I could enjoy the evening all over again! On a scale of 1-10 - he is a 20 - and once you have him play for you - you'll understand why! If there were anything higher than FIVE stars - he would get it. Regards, Julie Williams - mother of the groom. Mr. Delmonte came to the International Festival held at our elementary school. He was a delight to have in attendance! The students and adults alike LOVED hearing him play and getting to see the instrument in action. He was polite and engaging. I will definitely be contacting him for future events! I booked Minsky to play for Students of the Caribbean Association at Duke University. He was very professional, polite, and prompt with all communication. The students loved hearing steel pan music, which a unique showcase of Caribbean culture that appealed to all students. Review by Michael S. F.
Minsky was wonderful - so generous and professional throughout the whole process! He did a wonderful job playing at our wedding ceremony and everyone commented how great he was. I highly recommend Minsky from Hear Steel Drums Play. 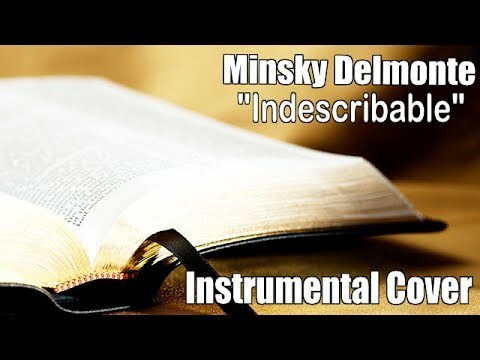 Minsky did a wonderful job of using music that was requested by my husband and I and was very personable and easy to work with. I would recommend his services to everyone! Minsky did a great job with the music and was extremely friendly and accomodating of our requests. He showed up early and his music was fantastic. We highly recommend him and will use him in the future! Minsky's music was perfect for this family event. He was easy to work with, provided great costumer service and his steel drum songs were beautiful. Review by Connie D. V. O.
Minsky was absolutely the best to work with. The music was beautiful and exactly what we asked for. He smiles all the time and his beautiful music really set the mood for our beach wedding. Love Love Love...the music was awesome and the timing and set up was handled in a professional manner. I booked Minsky for the ceremony music and cocktail hour. The movement between the sites was a very smooth transition. I would totally hire him again. We really enjoyed Minky's performance and the wonderful music from the steel drums for our Island BBQ. The entire park loved his performance. We look forward to booking him again. Minsky's performance was such a great addition to my wedding ceremony and reception's cocktail hour. He is extremely professional, reliable, and talented. The steel drums really added a magical feel to our special day!! Minsky was very thorough during preparation of the wedding and extremely helpful with music selection for the ceremony. My husband and I were very satisfied and impressed by his level of professionalism and expertise. We would recommend Minsky for steel drum events. We enjoyed the performance. Very professional! What an outstanding job. Mr. Delmonte is ver professional and I will continue to use his services. Outstanding! We hired Minsky for our beach wedding ceremony, and Minsky was Fantastic!!! He is so easygoing and easy to work with, he provides great feedback and ideas. Minksy is very professional, friendly, and we loved his the music he played. Our guests at the wedding told us how awesome they thought the prelude music to the ceremony was and I enjoyed every minute I listened to as well. I would definately hire Minksy again and recommend him for you event. Second time we have used Minsky for an outdoor private party function. We found him to be punctual, friendly, and unobstrusive. Great for appealing to all age groups. We hosted an island theme for both occasions an received terrific feedback on our selection of the muscian from the two different groups. We had a blast. Our guest enjoyed the music selection as well as the great personality of our entertainer Minski. We plan on having another party this year and Mpnski will be our entertainer. I strongly recommend him if your planning a gathering. We had a blast. Our guest enjoyed the music selection as well as the great personality of our entertainer Monte. We plan on having another party this year and Monte will be our entertainer. I strongly recommend him if your planning a gathering. Minsky did a fabulous job! I had never heard him before and was a little leary of booking someone I was not experienced with, but he was FANTASTIC! Very professional, great music, friendly, the group loved him and his music. It was the perfect music for the beachside reception. I will definitely use him again in the future! Hear Steel Drums Play focuses on providing high quality live music for weddings, social events, corporate functions, churches, festivals, grand openings, anniversaries, birthday parties and all special occasions! Listeners have been pleasantly surprised by hearing a steel drum add a classy touch to songs that they recognise and love. My multi-genre songlist extends way beyond the typical steel drum repertoire and my sublte approach to playing the steel drum has allowed listeners to talk and mingle without being overwhelmed by loud, brash sound. Hear Steel Drums Play travels nationwide. Minsky Delmonte is a festive,energetic, solo steel drum player (steel pan) whose repertoire draws from original compositions and a wide variety of musical genres. His friendly and lively stage presence will uplift you, make you tap your feet and bring a smile to your face. He goes out of his way to create a smooth sound from an inherently percussive instrument. Born in Trinidad and Tobago, home of the steel drum, his interest in the national instrument didn't develop until he joined his high school steel band in Englewood, New Jersey. He further developed dexterity playing under the baton of ace arranger Ken " Professor" Philmore in Brooklyn New York's annual steel band competition. Prior to attending West Virginia University School of Music, Minsky recorded on two projects that were composed, arranged and produced by Antonio Underwood (MM Yale 87). The first was " Soca My Heart" featured on Jazz Saxelloist John Purcell's TrentSong CD (Pony Canyon Records) and on the sound track of independent film maker Denise Byrd's " Rumblings of the Earth ": Wilfredo Lam, His Work and Words. In Addition to playing steel pan, Minsky's love of music can be heard on the piano. 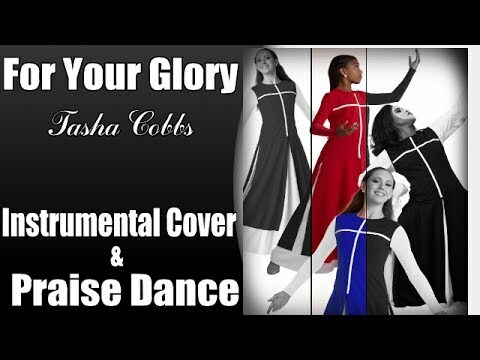 He took a " Jump In With Both Feet" approach to learning gospel style keyboards and as a result headed the Salvation Praise music ministry for over five years. Whether he is playing at the Waldorf Astoria (New York NY) or the World Cup(94) it is apparent that Minsky loves what he does and so will you. Access to an electrical outlet if possible. Shaded area to protect my instrument from inclement weather and direct sunlight. Tony Underwood, Patti Labelle, B.B. King, Stevie Wonder, Stevie Ray Vaughn Karen Clark. Billy Preston, Tito Puente, David Rudder, Lord Kitchener, Ken " Professor" Philmore.